As a parent, I know it's important to have great local schools to choose from, and how crucial education is to every child's development. This is never truer than in today's fast-changing, high-tech world. Every child should have access to an outstanding school place, to ensure that they are equipped with the knowledge and skills to take themselves anywhere that their talent and enthusiasm can lead them. West Oxfordshire is lucky to have many outstanding schools - but there is more to do as we work together to expand education opportunities for all. 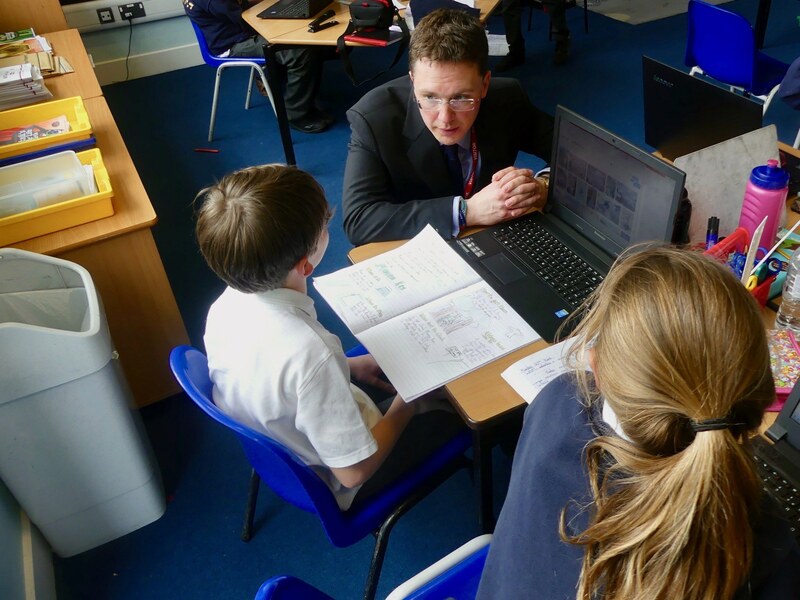 Since being elected as your MP, I have met over a third of West Oxfordshire schools and have had written contact with all headteachers about education issues. I have also welcomed a number of local schools to Parliament to speak with them about the work of an MP and look forward to hosting many more. At Robert's suggestion, RAF Brize Norton has agreed to provide support for Carterton Community College to enrich their students’ school experience, with a particular focus on providing Science, Technology, Engineering and Mathematics (STEM) support. Robert said: "Great to meet Ella, Caitlin, Emily & Izzy from Carterton Community College to congratulate them on their success at the recent Oxford University Innovation Showcase. Robert said: "Fantastic visit to Windrush Valley School in Ascott-under-Wychwood for morning assembly, a very lively, happy school - and some truly brilliant questions!" Robert has visited staff at the Mulberry Bush School in Standlake, which is a not-for-profit charity with a mission to provide services to meet the needs of emotionally troubled and traumatised young people and their families, enabling them to reach their full potential. Robert said: "Delighted to be supporting National Apprenticeship Week 2019 to expand opportunities for young people and boost skills in our economy. Robert said: "Great to start my latest constituency day by getting a good grilling from Sixth Formers at Wood Green School on wide and varied issues. Engaging young people in the democratic process is truly one of the best parts of the job." Robert recently attended Middle Barton Primary School, where he hosted an assembly with pupils before being taken on a tour of the school by the school's Headteacher, Mrs Barwell. Robert said: "It was great to host my 'How Parliament Works' assembly at Carterton Primary School and receive a thoroughly enthusiastic response from pupils. Engaging young people in the democratic process truly is one of the best parts of the job." Robert said: "I was delighted to host my first 'How Parliament Works' assembly of 2019 at Ducklington Primary School this morning. Thoroughly impressed by the standard of debate amongst pupils combined with their enthusiasm for our democratic system." 2018 was a very busy year indeed with much to celebrate both locally and nationally. Here are just some of my highlights from last year - in 60 seconds! Sign up to Robert's regular email newsletter! I fully agree with the principle behind the Government's proposals which aims to ensure ensure that every school and local area, regardless of location, are fairly funded according to need. However, due to the nature, of the area we live in, I am concerned about the impact this will have on West Oxfordshire's schools. I have therefore been strongly lobbying for the creation of an essential funding level that will ensure all schools have the essential funding they need. All schools regardless of location, have these essential costs need they need funding for, regardless of location and number of pupils. Read more about this here.